Your travel holiday guide to discover, explore and enjoy Crete Island, where the best sights are to visit, the best towns for shopping and the most visited areas of natural beauty in Crete. 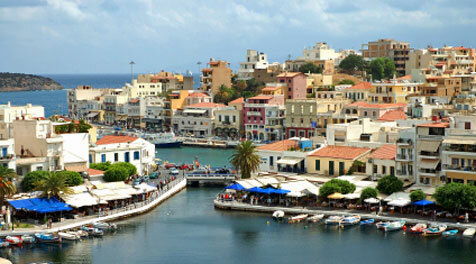 Find the real side of Crete when you visit with the information packed travel guides. Taking a holiday in Crete is not all about sunbathing in a hotel by the pool! You can explore the tropical island of Chrissi, relax on Vai beach, take a boat trip to Spinalonga, spend the day at the many Water parks in Crete or delve into the history of Knossos Palace and Museum. 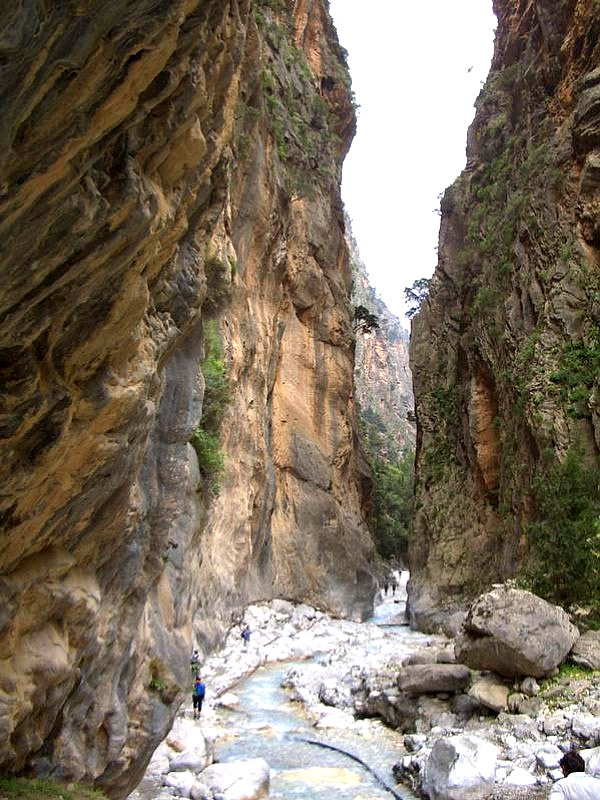 Crete is the southernmost island in Europe and offers something for everyone. 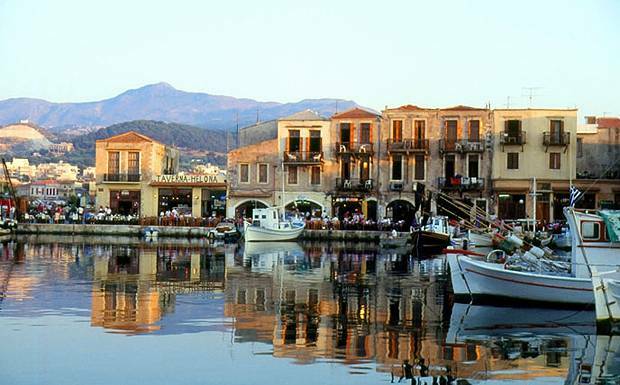 The island of Crete is the largest of all the Greek islands and it is the fifth largest island in the Mediterranean. After all, it´s among the finest in the world and has established Crete as one of Europe´s most popular holiday destinations. And, of course, the island´s historic importance in today´s world as the home of the Minoan civilization with important archeological finds at Knossos, Phaistos and Gortys, is evidenced by the tens of thousands of visitors to these sites each year. Crete was also the Centre of the Minoan civilization and is believed to be the oldest civilization in Europe. 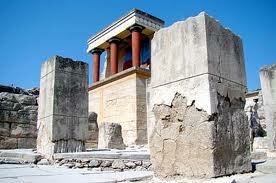 When visiting Crete you still have an opportunity to see remnants of this civilization at Knossos Palace. the Greeks. The reason Crete has had so many invaders and rulers, is its strategic position in the Mediterranean, it was the controlling point for the eastern trade routes and has a wealth of natural resources. There is a lot of history to be discovered when visiting Crete, from the recently excavated Knossos Palace, the eerie island of Spinalonga. Also look for the fortresses that sit imposingly in many towns and cities of Crete including Koules fortress in Heraklion and many other Venetian fortresses. Below you will find some of our most popular Crete guides for the major tourist resorts and all of them include videos and pictures. Many tourists believe that it´s a good idea to have your own set of wheels the whole time you´re on the island of Crete. Through this article we are trying to state an opinion about the difference between having a car hire at your disposal and not having one. In Greek islands there are no highly populated areas, so it is difficult to travel fast to the other side of the island with public transportation and sometime there is no transportation. Additionally, there is no problem of heavy traffic and there are many parking spaces to service all the travelers with their holiday cars. When you have your rental car, you can go wherever you please, whenever you want. That´s the beauty of having your own car wherever you go. Especially with car hire from our company, offers you the ability to travel all around Crete to see all the beauties of the island, without any limitation in kilometers. Just plan your trip, and decide whether you need a 4WD or a city car. airport. CarMotorPlan car rentals company is able to serve your holiday car, in every port and every airport on Crete Island. So, you will have the advantage to transfer your family with all your baggage directly to the hotel you will stay, without any difficulties. You will need a car to enjoy all that Crete has to offer. Of course you can drive your own car all across Europe to the island, but that would not be a practical thing to do, unless you are staying in Crete for some considerable length of time. For the sake of practicality, your best option is to get a Crete car rental.